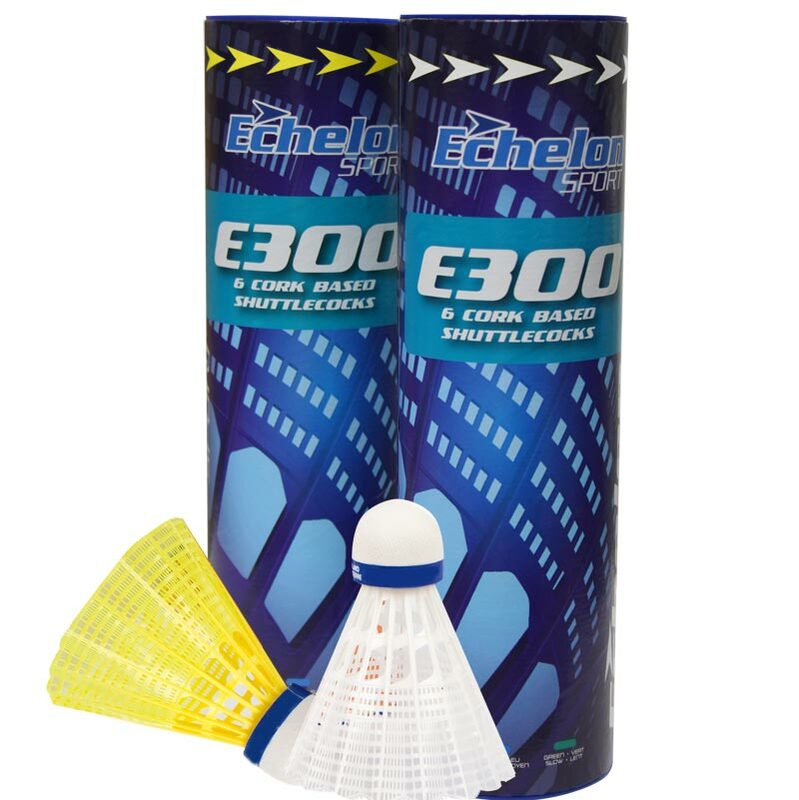 Echelon E300 Badminton Shuttlecocks are ideally suited to club and league players. With its precision moulded construction this shuttle has a beautiful smooth accurate flight. Ultra premium durable stiff cage construction for feather like performance. The E300 construction is accurate to 0.01mm. Sold per half dozen shuttles - 1 tube of 6. My badminton team, and another team in our group, always buy these particular shuttlecocks because they are excellent in performance and such a good price. Delivery was quick and efficient, as ever. Splendid. Simply splendid. Item thoroughly enjoyed, thank you. They're fast and really useful. Long-lasting, too. All in all, highly recommended.